Building a positive future for a child in need. You have been there for a child, and have become a parental figure in a life that seems to be caught in the worst kind of turmoil. Now, an already bad situation has become worse, and stuck in the middle of it all is a child who desperately needs a loving home and stable environment. Even though you are not the child’s parent, you cannot sit by as events occur that can destroy a young life. There are options for non-parental custody, allowing interested family members and loved ones to intervene on behalf of a child in need. 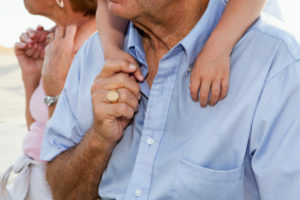 At Morse Law Group in Phoenix, we make issues of in loco parentis, non-parental custody and grandparent rights a priority and we have built a peer-recognized family law firm that helps those who seek to help a child. Our family law firm can work with you to protect a child in need by seeking non-parental custody or preserving grandparent rights. Along with guardianships and dependency cases, we have made a priority of working with issues of in loco parentis, allowing people who have been a parental figure in the life of a child to take the next step and bring that child into their home. For some kids, it only requires a temporary change of environment to give them a healthy environment as their parents make necessary changes. Other times, custodians such as step-parents need to seek permanent solutions. In both cases, it’s important to work with an experienced lawyer who can advise you and argue on your behalf. Our founding attorney, Judith A. Morse, has been working on behalf of clients since 1986, and has the experience and reputation to be effective for your family law matter. Contact our office today to schedule an appointment to discuss your custodial needs or grandparent rights.